It’s a lovely thing when you press play on an anticipated project and have it effortlessly sing to your soul. South Carolina native Cleveland P. Jones has been creating a buzz in soul circles with his single “Free Yard Sale,” showcasing his gospel-rooted soul. From Oleta Adams and Anita Baker to Aretha Franklin and Rachelle Ferrell, the influences are clear as day-old soul and gospel tinges galore. 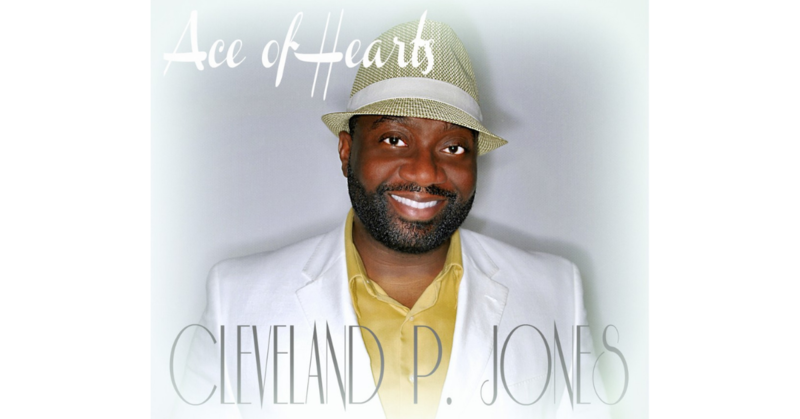 Ace Of Hearts is a fantastic collection of songs that capture the roller coaster ride of love, hurt, and healing. “Patience” clearly has Cleveland asking for strength in working out his relationship. The gruff attitude, rock accents, and classic Motown vibe make this one a goodie. Envisioning a video for this is very easy: Supreme-like background singers with their choreographed dance moves and matching outfits, a full out rocking band, along with Cleveland belting it out in a debonaire suit and tie combo. Classic goodness. “Don’t Leave Me” is a declaration to his loved one to stay with him through gut-wrenching pleading and begging. When you hear “Heart Breaks,” you will wish the song was longer than the burst of 2 minutes and 37 seconds. Cleveland’s vocal riffs are sensational, not to mention, you sincerely feel his heartache and pain. Goodness. As an artist, Cleveland’s stance is to aim for longevity, rather than release music for the moment. Ace Of Hearts is a step in the right direction with great production, emotional lyricism, and aggressive vocals. It’s all in there awaiting your aural pleasure. The album is loaded with piano, guitar, and drum sets that will make any music lover swoon, thanks to the live instrumentation. Ace of Hearts is raw, passionate, and revealing. Take it all in and revisit the days of yesteryear, with a Cleveland P. Jones twist. Absolutely a must-have. TICKET GIVEAWAY: Keya Maeesha Presents Date Night with ZO!